For over two decades, Chef Varia has delighted residents and visitors with his inventive Northern Italian cuisine in his Buona Tavola (meaning "good table") restaurants. Alex Pellini, Chef Varia’s nephew, came over from Italy in 2009 to help with the restaurant operations and has been instrumental in the creation and supervision of the salami production. 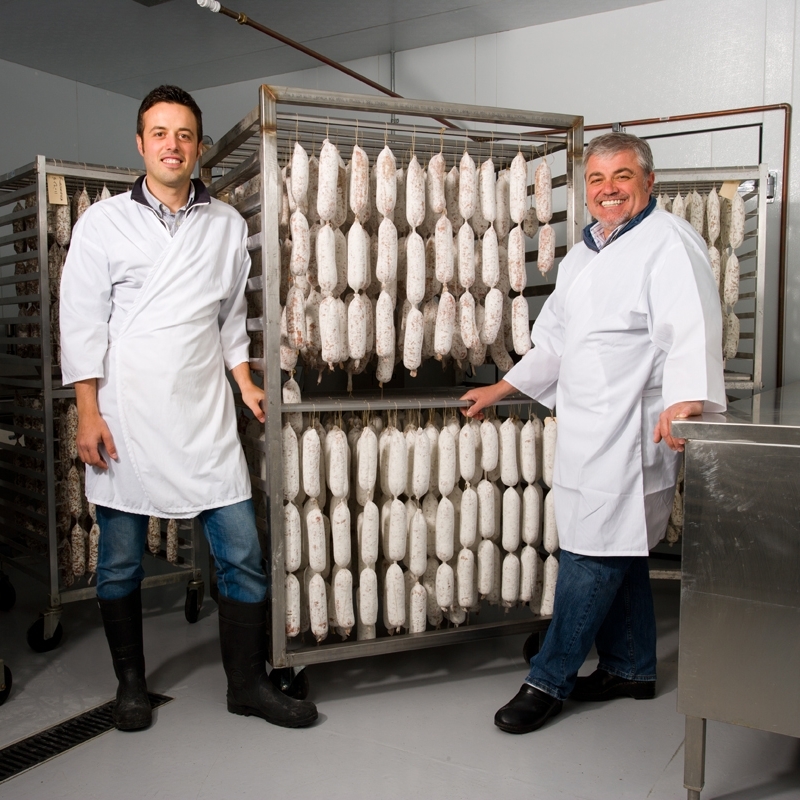 Our fresh, natural pork comes from a supplier that guarantees vegetarian fed, crate free animals. No hormones or antibiotics are used. Visit our Buona Tavola Restaurants in beautiful San Luis Obispo, CA (called "The Happiest Town in America" by Oprah Winfrey in January 2011) and in Paso Robles, CA. Check the website for more information or to make reservations at www.btslo.com. Maria Pia Allesina was Chef Varia's mother. We named the company Alle-Pia as a tribute to her. "I was very close to my mother and she passed away in 2010. 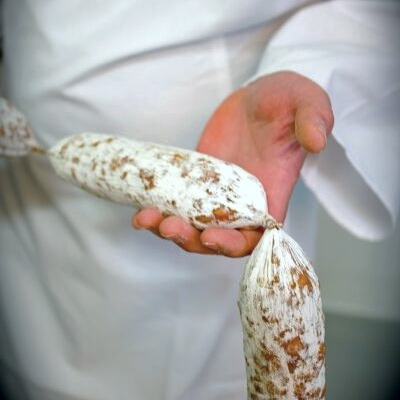 It was our tradition in Italy to make salami each winter with our entire family. I thought using her name would be a nice way to honor her memory."